AMAZING COMPUTER DESK - ABSOLUTELY GORGEOUS DESK FOR YOU! ☆ Order now and wait for your product to come into your doorstep! It's that easy! 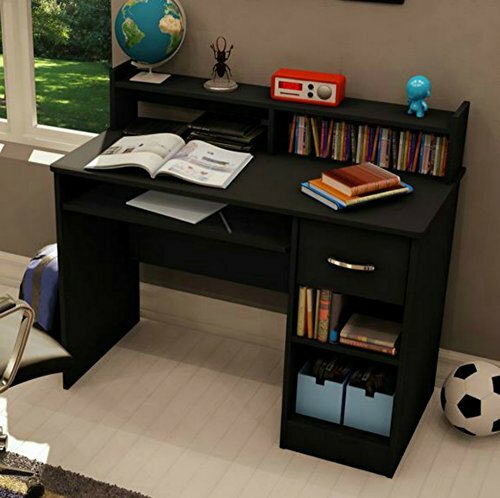 This contemporary study desk w/ keyboard tray is suitable for both laptop and desktop computers. The cutout hole in the back panel of this writing desk provides w/ easy and better wire management. This table is available in multiple finishes that look classic and blends with most room decors.